Mountain View Landscape LLC, located in Cromwell, CT, proudly offers several types of commercial services. From smaller businesses to larger corporations, no job is too small or large. 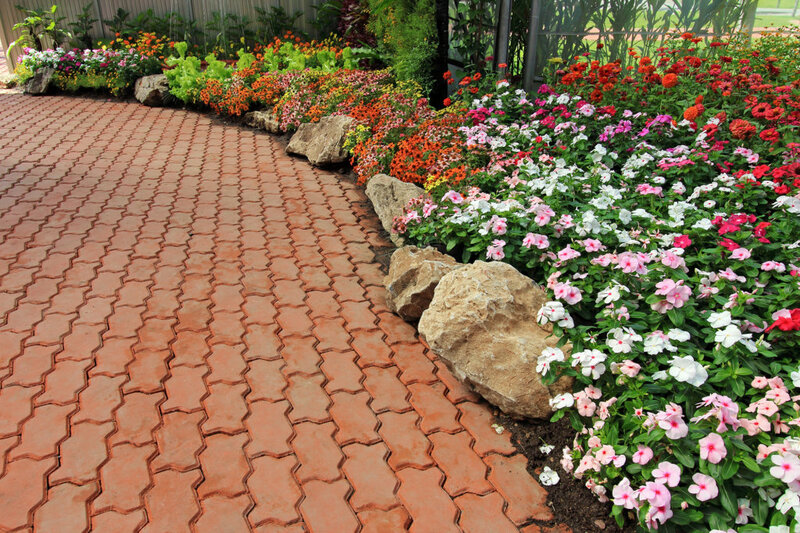 At Mountain View Landscape, we work with all commercial needs and budgets. Our maintenance services keep your property looking clean and fresh. All of our maintenance programs are catered to the individual needs of your landscape. 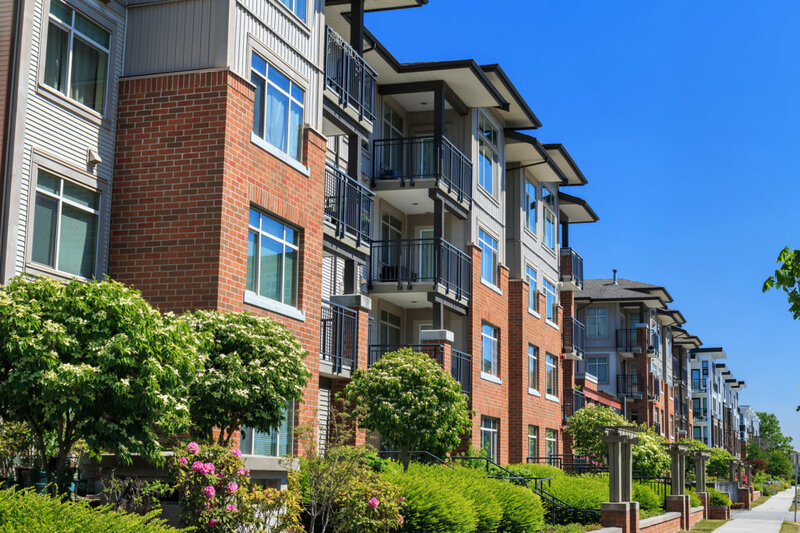 We realize that property owners and managers want reliable and professional maintenance services that pay attention to detail. No matter how large the property, our goal is to do a complete and thorough job every time. Our team is friendly, courteous, and always dressed professionally. Mountain View Landscape is the company you can rely on to always look and act respectfully to your residents, customers, and clients. Talk to a commercial landscaping expert today. We take the time and care to understand the diverse needs of your property and offer you the right services to maintain it. Learn more about our complete Weekly Maintenance services. While you’re busy with your business’ indoor spring clean up, let us handle the great outdoors. Our ground care technicians will keep your landscape season-ready to show your clients that you take management of your property seriously. In keeping your commercial property season-ready all year round, we also offer fall cleanup. Mulch is a great part of any landscape design and lawn care plan. It acts as a barrier, keeping the sunlight and some air away from the surface of your soil, helping your plants stay happy and healthy. 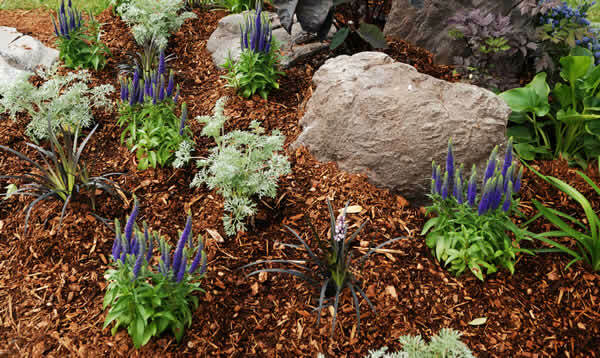 There are several different types of mulch with differing benefits and uses. 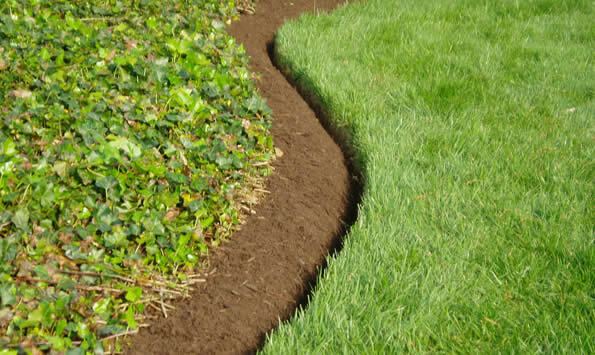 Mountain View Landscape is here to help you decide what’s best when it comes to mulching your property. Shrubs are a beautiful addition to any landscape. They can be used as decoration, to enhance privacy, and as a low maintenance addition to your landscape design. Proper maintenance of your trees and shrubs will ensure they stay looking beautiful and healthy. Trimming and pruning of shrubs not only enhances the look of your landscape but also stimulates new growth, help produce more blooms, and ensures the health and longevity of your plants. Flowers add the pop of color and variety of texture to beautify your commercial property. 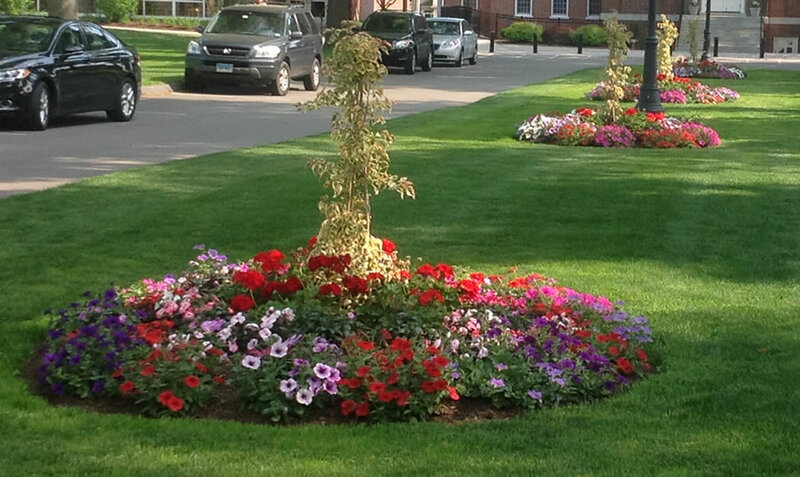 Our flower program includes the planting and maintenance of annual flowers in both summer and fall seasons. We work with each of our customers to select the most visually appealing plants that are best suited for your property’s soil and sunlight. Add the flower program to one or more of Mountain View Landscape’s services for complete commercial property maintenance. Spring – Fertilizer, pre-emergent crabgrass control, and broadleaf weed control as needed. Late Spring/Summer – Fertilizer and broadleaf weed control as needed. Summer – Fertilizer, weed control and surface feeding insect control. Mid/Late Summer – Fertilizer and weed control as needed. Fall – Fertilizer and broadleaf weed control as needed. Timely and thorough snow clearing is essential to ensuring your property stays safe and functional for customers and employees throughout the winter months. We eliminate the exhausting task of having to shovel and remove snow by using the proper equipment to quickly and effectively take care of the work for you. There’s nothing better than arriving at your post-snowstorm property to thoroughly cleaned walks, driveways, and parking lots. Our services include ice control, parking lot cleanup, entrances, walkways, and other services necessary to maintain your commercial property in the winter months. Learn more about our extensive snow clearing services.